O LORD, And Your law is my delight. If you’ve never listened to them before or haven’t heard of them there’re two preachers I’d like to introduce you to who’ve preached on this topic, John Piper and John MacArthur. If you’re into great exegesis and very cerebral type sermons then John MacArthur is for you. 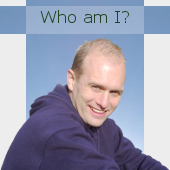 You can download his sermons from http://www.gty.org. 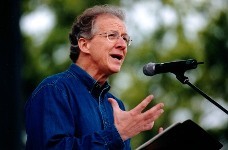 John Piper is actually a bit different from me Theologically but he has a great delivery style and is very acurate on what matters, The Gospel! 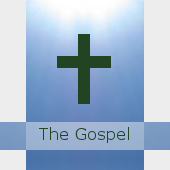 You can download his sermons from http://www.desiringgod.org. John Fullerton MacArthur, Jr. (born June 19, 1939 in Los Angeles, California) is a United States evangelical writer and minister, noted for his radio program entitled Grace to You. 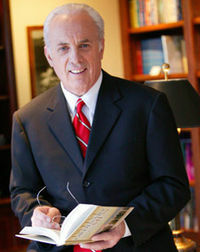 MacArthur is a fifth-generation pastor, a popular author and conference speaker, and has served as the pastor-teacher of Grace Community Church in Sun Valley, California since 1969, and as the President of The Master’s College (and the related The Master’s Seminary) in Santa Clarita, California. Theologically, MacArthur is a conservative Baptist, a strong proponent of expository preaching, a dispensationalist and a self-described Calvinist. He has been acknowledged by Christianity Today as one of the most influential preachers of his time, and is a frequent guest on Larry King Live as representative of an evangelical Christian perspective. MacArthur has authored or edited more than 150 books, most notably the MacArthur Study Bible, which has sold more than 1 million copies and received a Gold Medallion Book Award. Other best-selling books include his MacArthur New Testament Commentary Series (more than 1 million copies), Twelve Ordinary Men, (more than 500,000 copies), and the children’s book A Faith to Grow On, which garnered an ECPA Christian Book Award. This entry was posted in Sermons and talks and tagged Christianity, church, John MacArthur, John Piper, Mark Penrith, Midrand Chapel, Psalm, Psalm 119, Scripture, South Africa, Spirit, truth, worship. Bookmark the permalink. I listened to your semon and it was really spot on.